Step1. 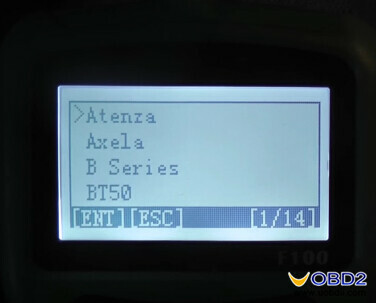 Start OBDSTAR F100 and choose “Immobilizer” to “Mazda V30.15” to “Atenza” to “With Smart”. 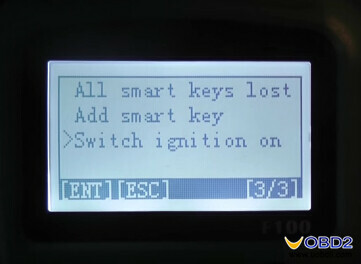 Choose “Switch ignition on” and keep all remote keys at least 1 meter away from the car. Press the Enter button to go on. Step2. Press and hold car Start button for 10 seconds until Start button indicator turn green to red. And now console will turn on. Press the Enter button. 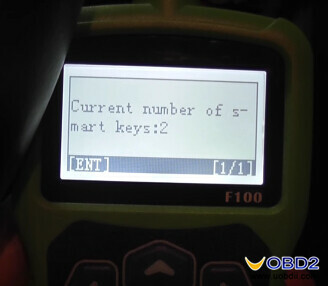 OBDSTAR F100 will remind you all smart key will be erased and the minimum key number should be 2. Press the Enter button to continue. 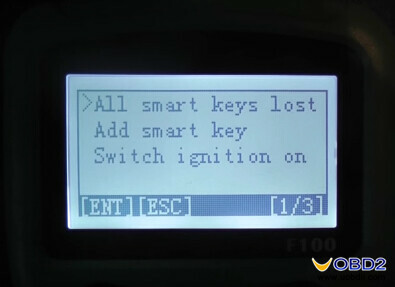 Turn ignition on and it will show the current key number is 2. 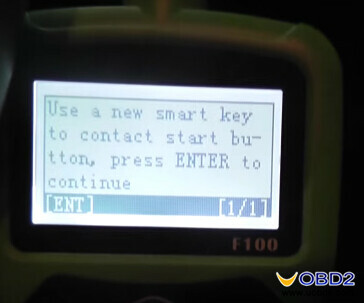 Press the Enter button then it is reading vehicle information. Step4. It will ask you: “Ignition switch status is open?” No so press ENT button. Press and hold car Start button for 10 seconds until its indicator turn green to red. Then press car Start button again, the console will turn on. Press Enter button and system is configuring. 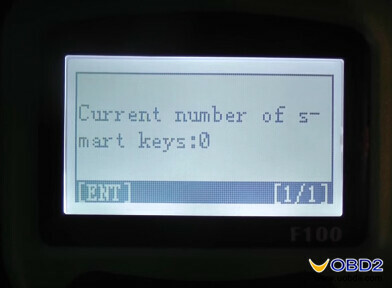 After that the current key number will turn to 0. Erase all remote key done! Switch ignition off. Step5. Switch ignition on. 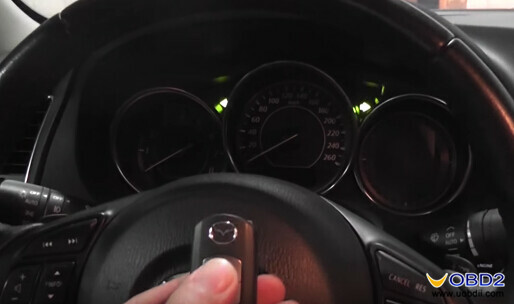 Use a new remote key to contact car Start button then the indicator turn red. Press Enter button and wait. 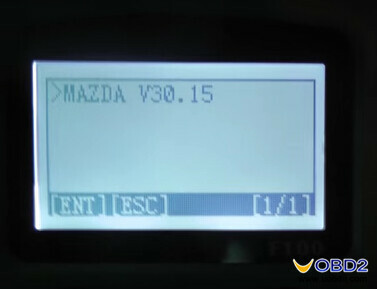 Now OBDSTAR F-100 programs the first Mazda 6 Atenza new remote key successfully. Current key number is 1. 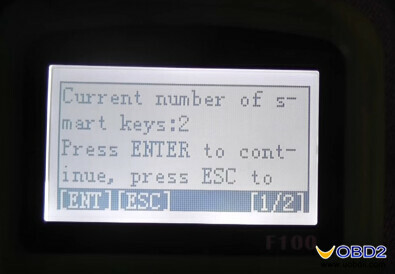 Press the Enter button to program the second new key (Same procedure with first key), after that current key number turn to 2. Step6. To complete the whole process you have to do two things: 1. Turn ignition off; 2. 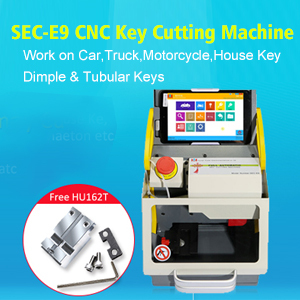 Put on the brake, use the first key and second key separately to press car Start button for 3 seconds. Turn off ignition. 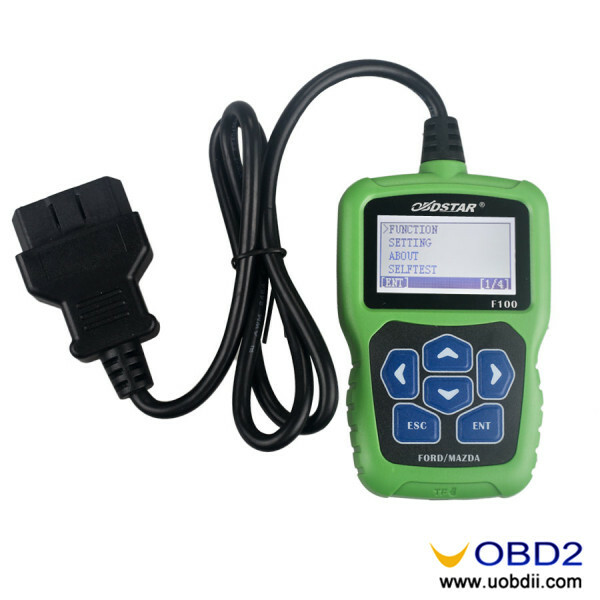 Now OBDSTAR F-100 Ford/Mazda Auto Key Programmer successfully make two new remote keys for Mazda 6 2016 all key lost. It totally costs you 5 minutes only!